If you’re new to Atlanta (or even if you’re not), you’re probably wondering – what is up with this city’s obsession with peach trees? Ironically, Atlanta has many more pine trees than peach trees, but you wouldn’t know it by driving through. With 71 streets containing the word “Peachtree” and many of them intersecting or overlapping you can see why your GPS would be going a bit crazy. 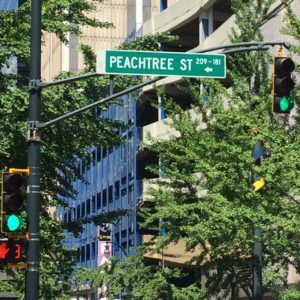 Since the route along “Peachtree” is the heart of where we sell real estate, it’s a fun little game to explain to new residents that when locals say “Peachtree Street” we’re usually talking about the main road that runs through the middle of the city. However, the real fun (and looks of confusion) begin when I explain that the SAME road has five names. 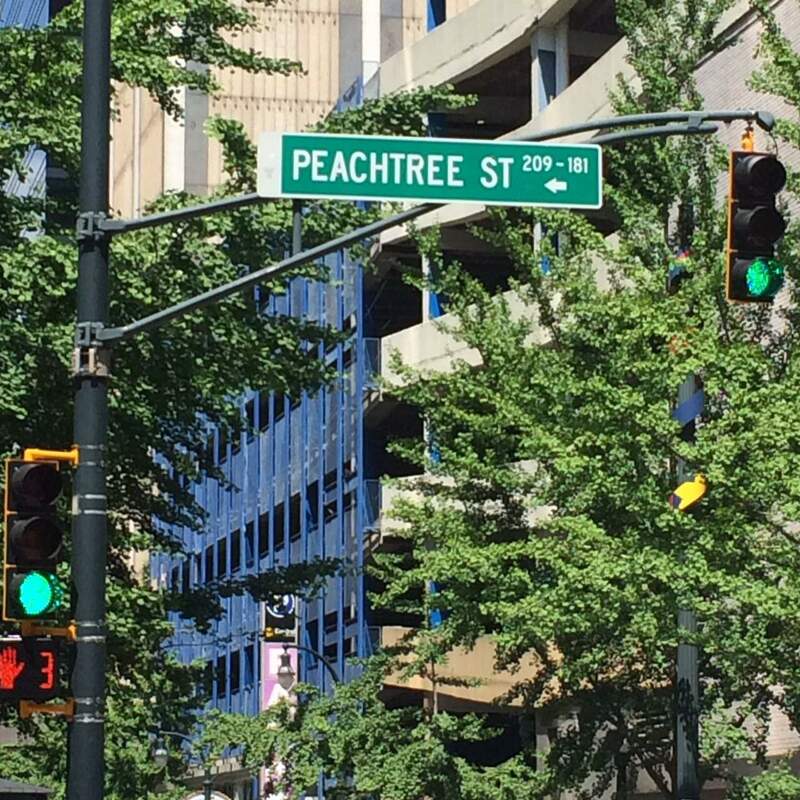 It starts in Midtown at Peachtree Street and eventually becomes Peachtree Road in Buckhead, Peachtree Boulevard through Chamblee, Peachtree Industrial Boulevard in Norcross and finally Peachtree Parkway in (you guessed it) Peachtree Corners – not to be confused with Peachtree City. Whew. The good news is that so long as you’re somewhere on Peachtree you’ll find plenty to do. Many prominent office buildings including the Georgia Pacific Tower, Westin Peachtree Plaza, SunTrust Plaza and Bank of America Plaza are all located on this famous road. If you’re looking for fine arts, you’re covered with the Woodruff Arts Center, the High Museum of Art, Atlanta Symphony and Alliance Theatre company all calling Peachtree home. As you move further north on Peachtree you’ll hit some of the city’s most fabulous shopping spots such as Lenox Square Mall, Phipps Plaza and the new Buckhead Atlanta (the South’s version of Rodeo Drive). And, just in case you were wondering, our office is also located off Peachtree Road! And whether you’re looking to live in Peachtree Hills, Peachtree Battle, off Peachtree-Dunwoody Road or anywhere in between, we would LOVE to help you find the perfect home. Call us anytime! ← Congrats to The Peters Company July Metro Atlanta Homebuyers!